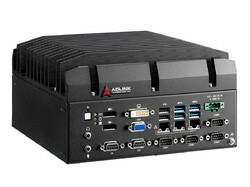 Being a customer oriented organization, we are highly engaged in providing a wide range of Adlink Fanless Embedded Computer. We are the leading Wholesaler , Trader and Retailer of PVC Card Printer, Aadhaar Card Printer, ID Card Printer, etc. Our range is demanded in the international market owing to its high performance and longer service life. We are also service provider of Camera Starter Kit Installation Service.